With its capital of Columbus literally in the center of the state, Ohio is one of handful of territories that enjoys a coastline on the Great Lakes and is part of the U.S. Midwest region. The major population centers of the state include Cleveland, Cincinnati, Akron, Dayton, and Toledo. The state also has an abundance of college towns and universities in just about every part of the region. Ironically, the size of the state belies its population size. Ohio has the 7th largest population among the 50 states in the union. Folks from Ohio enjoy being referred to as "buckeyes," which refers to a local tree grown in the state. Geographically, the state has three zones. The western half is predominantly plains and low land. A thin sliver runs through the middle to the northeastern corner of glacial plateaus. The eastern remaining third is generally made of plateaus connected to the Appalachian mountain range. Similar to Missouri, Ohio plays a key role in presidential elections and is often visited during election time. As of this writing, the Buckeye State is home to about 11.5 million Americans and is the 10th most densely populated state. The state economy produces nearly $500 billion annually, and it is frequently named one of the most business friendly states in America. Per capita income in Ohio is around $35,000. As of this writing, the average home in Ohio is worth just over $100,000. However, it's worth noting that there's a great deal of disparity within the state. In cities like Powell and Mason, the median sales price for a single family home is around $500,000. On the other hand, in cities like Garfield Heights and Youngstown you can buy a home for $50,000 to $70,000. Columbus is the largest city in OH, and the third largest metro behind Cleveland and Cincy with a population of about 2.4 million. The city is known for its high quality of life, business friendly environment, and as the home of The Ohio State University. Columbus has one of the nation's strongest economies, well diversified amongst tech, services, energy, banking, and more. This has largely shielded the city from the affects of the recent financial crisis. Home of the NBA's Cavaliers and the NFL's Browns, the Rock and Roll Capitol of the World's metro is home to 3.5 million Americans. Long known as a manufacturing hub, Cleveland's economy is now strong in other areas like banking - KeyBank is headquartered within city limits - and healthcare. The city is also home to many cultural festivals and, of course, the Rock and Roll Hall of Fame. Cincinnati is home to major US corporations like Proctor & Gamble, Fifth Third Bank and Kroger. The city also contains beautiful, historic architecture that's a joy to view. Cincinnati has made a large push to compete with larger midwestern cities like Chicago in recent years, in part by attempting to attract technology and healthcare companies. Over the years, Ohio has grown into a banking hub, and today major banks like Fifth Third, KeyBank, and NB&T call the Buckeye State home. This is great for local residents, and it means more competition, more access to branches and ATMs, and, in some cases, better interest rates. Of course, to truly find the best rates you will need to compare offerings from multiple institutions, like the community banks, credit unions, and big banks listed below. We've provided links to our reviews where applicable to help you make an informed decision. Ready to find out more? Using RateZip.com, you can make quick comparisons between these and other lenders to find great rates on auto loans, certificates of deposit, and more. For those who want to live in the same state the TV Show WKRP was based on or to enjoy the Midwest, RateZip.com can help with access to detailed mortgage rate information. First, you'll need to know what's available to the Ohio homeowner. We'll outline the different choices you'll face when you obtain a home loan. Fixed rate mortgages (FRMs): The fixed rate home loan is synonymous with the American way of life, particularly the 30 year fixed. This mortgage, which generally is not available in other countries, offers interest rate and payment stability for the life of the loan. Whether you're in year 1 or year 30, you'll still be making the same monthly payment. Of course, you can save money - sometimes thousands of dollars - by choosing a shorter term, like a 20 or 15 year loan. These loans require a higher monthly payment but are repaid much faster, meaning in the end you'll pay less for your home. Something to consider! Adjustable rate mortgages (ARMs): You may have heard that these mortgages caused the recent financial crisis, but ARMs are actually a useful if misunderstood tool for homebuyers. An ARM begins with an initial term, where the homeowner enjoys a lower than market interest rate. After that term ends, the interest rate and monthly payment adjust every year for the rest of the loan. ARMs can make a lot of sense for those who plan on moving within a few years, and don't forget that rates and payments can also adjust downward over time. That said, it's important that you understand that your payments can rise over time and choose the right loan accordingly. 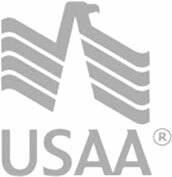 FHA mortgages: The Federal Housing Administration (FHA) is a government institution that provides mortgage insurance for select mortgages. Due to this insurance, lenders are able to offer homebuyers the option to put less money down and can accept those with lower credit scores. An FHA loan can be an excellent option for first time homebuyers. That said, you will end up paying more for this loan in the form of insurance premiums. Make sure you factor that into your decision.